TheHackerCIO [TheH4ck3rC10]: OAQ: Are All Clients This Pathological? "You've been doing this a long time. Are all consulting clients this pathological?" This was the question of a colleague and newbie consultant. "Unfortunately, yes," I reluctantly, but honestly had to reply. "This is normal, then?" He continued. "No," replied TheHackerCIO, "it's not normal, but it's usual." Unfortunately, what is usually seen is far from normal. It's, in fact, pathological. And it seems to be omnipresent: both in startups (where it seems to center around a co-founder) and in the Bloated Behemoth Enterprises (where the pathologies seem deeper seated and rooted, and generally have metastasized more pervasively). I wish I had an easy guidebook, something like Harrison's , which could point out all the pathology and it's etiology. But no such resource exists. Financial institutions are highly regulated, and like all regulations, imposed by force of law, they cause what the economists euphemistically call "dislocations." But aside from the effect on the market, where misallocation and bad signals result, there are also the internal "dislocations" within a Company. These are very highly pathological. I've always wanted to have a client who was privately held, just to validate this theory. In theory, a privately held company should be less subject to the whole apparatus of Government bureaucracy. And it would be fascinating to see if the pathologies were less manifold. On the other end of the spectrum, startups, it's quite commonly known that VCs (Venture Capitalists) often view it as their mission (or what value they can add) to force out founders. I used to hate this about them, but I've come to see that many times founders are not the best people to carry forward a company. It's not so much that the VCs are heartless, as that they can excise a pathological person who has insinuated himself at the very root of a company. If they can successfully do that, and substitute a proper, well-suited replacement executive, then they have increased the valuation of the company by an order of magnitude. 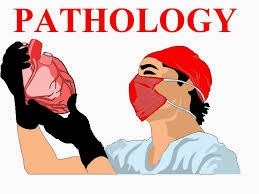 I'm sure there are many, many other sources of pathology. And consulting is not the only place where the effects are seen. Dilbert is predominantly read by permanent employees, after all. At least this can be a starting point for attempting to develop a taxonomy of pathology in the technology industry. While the question here is good, it is very hard to get an understanding on the overall context because you didn't really explain the context of the question to begin with. What was the context that brought up "Are all client's this pathological?" From the entry, it would sound like something regulatory, but hard to say for sure. Beyond "Show, Don't Tell Me"